I moved from Newcastle back home to France in June and I am soon moving again elsewhere. My boyfriend and my mom always accuse me of having too much make up which is undeniably true. The first time I did one of these posts I was really just getting rid of stuff that I just didn't use anymore but in this case it is a little different. I am getting rid of things that I still use but it is true (dare I say it) that no one needs a million red lipsticks, especially if you only wear red lips about once or twice a month such as in my case. I also put some of my makeup in storage and now that I have it back I just think it looks like it has seen better days and I don't like the idea of using makeup that has been sitting around for months. As I have gotten rid of so many beauty items (a lot of it is not even shown in this image), I don't really want to go through every product I have gotten rid of but I do want to mention a few of them. For example, I'm getting rid of Stila Kitten which is one my favourite eyeshadows, but it smashed a while back and it was just getting really hard to use and it wasn't worth the mess it made. I'm getting rid of a really nice Lancome lipstick that I did a post about ages ago (click here for that) but it was just getting a bit old and the idea of putting it on made me feel a little ill. Since I have discovered the KIKO Long Lasting Stick Eyeshadows, I'm pretty much over the Rimmel Scandaleyes Shadow Sticks so they've gone too. I also got rid of two Revlon foundations (Nearly Naked & ColourStay) simply because they are not my favourites and they're nearly finished anyway. You might have noticed I'm even getting rid of the KIKO bronzer which was featured in my last 'Recent Purchases' post, but to be honest with you it was awful but I think I will do a post about it so you'll be able to read about why you shouldn't buy it soon. I'm your 200th follower! :D haha I just really enjoyed this post, I love having a good clear out - I also recently moved (although not so far!) and it was a great time to get rid of products that have gone a bit bad! I just recently did a bit of a purge of some of my makeup too! Some products I loved but they were just too old or in bad shape so it was time for them to go! I always try and hold on to products I don't like in case I give them another go but sometimes it's better to just get rid of them to clear out some space! It's kind of satisfying just being ruthless and throwing everything out ha. I FEEL LIKE A NEW WOMAN! That's the move I'm doing! Thank you. i love your blog name and layout!!! 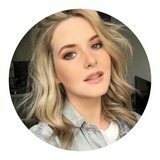 found your blog via twitter, new follower! Wish I was moving to the US, so jealous! 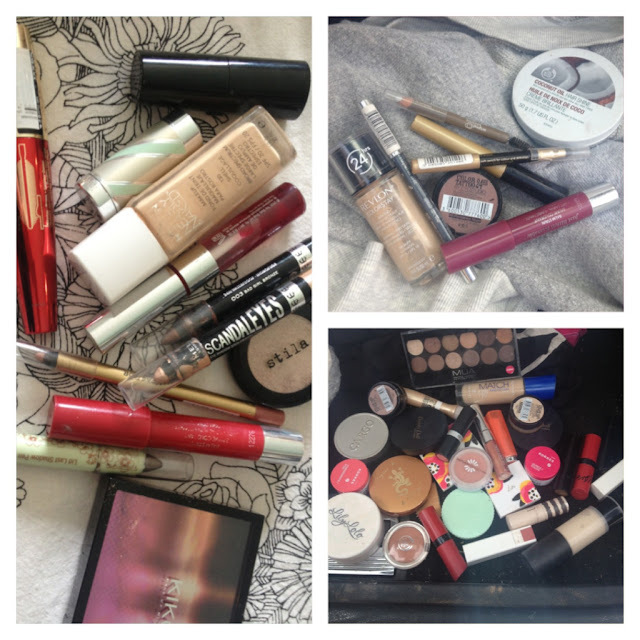 Your 'unloved' make up collection looks so similar to mine, haha! I'm always buying new things in hope of finding 'the one'.. but we all know how that ends! Have you considered doing a blog sale?